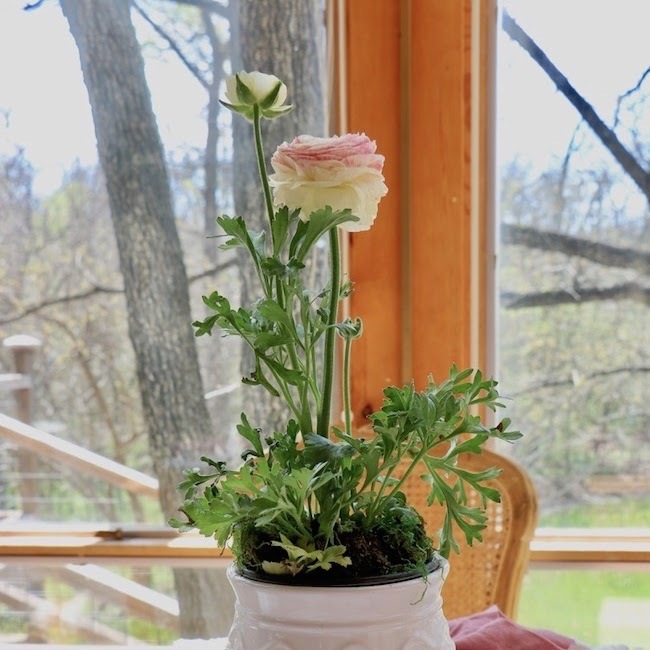 Where does one find genuine French design for her home... at a bargain? 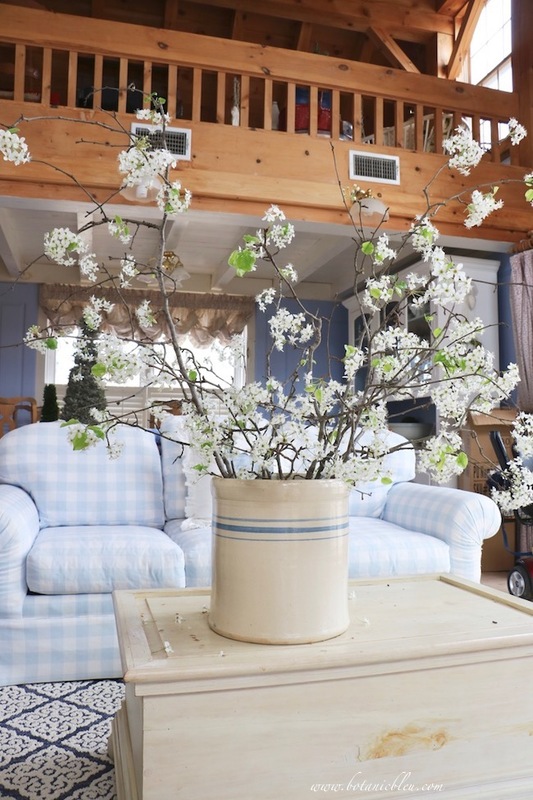 French design spans centuries, and French families inherit furniture, art work, linens, china, and silverware to furnish their homes. Don't have a French ancestor from whom to inherit? Good news. 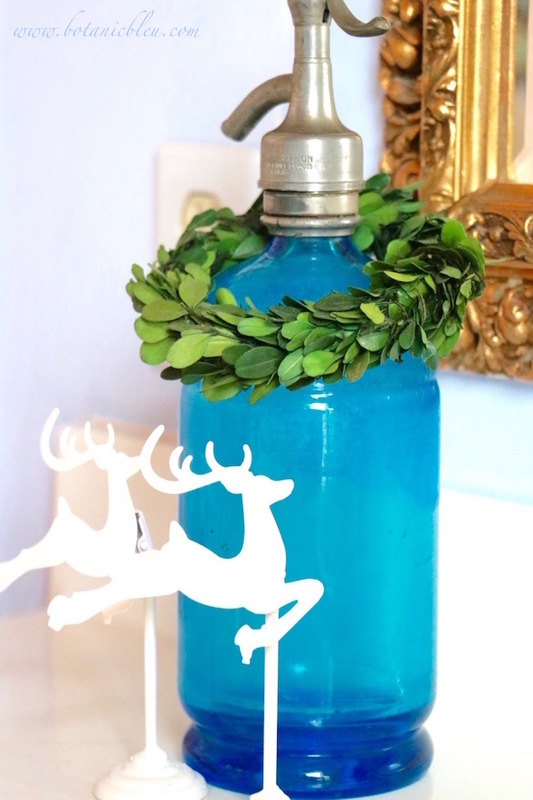 French design can be bought at a bargain price. 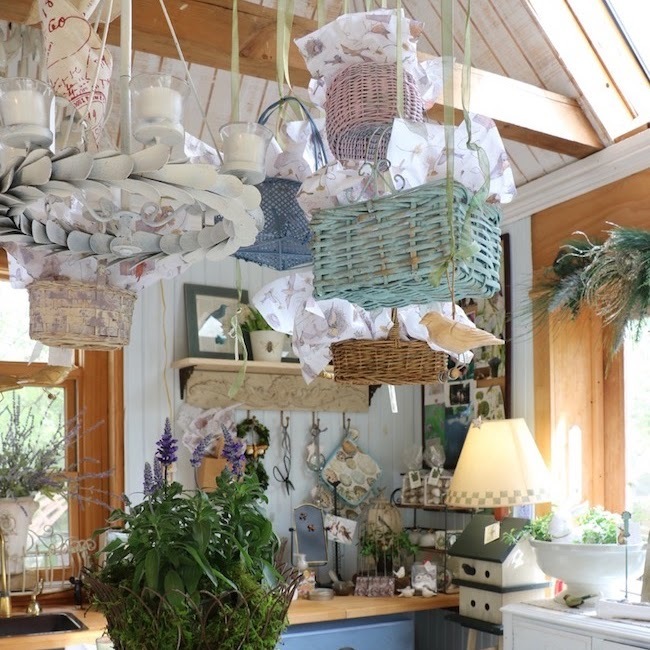 Each year in France over 15,000 flea markets, brocantes (second-hand goods), and vide greniers (empty the attic) attract buyers searching for vintage items no longer being passed on to the next generation. 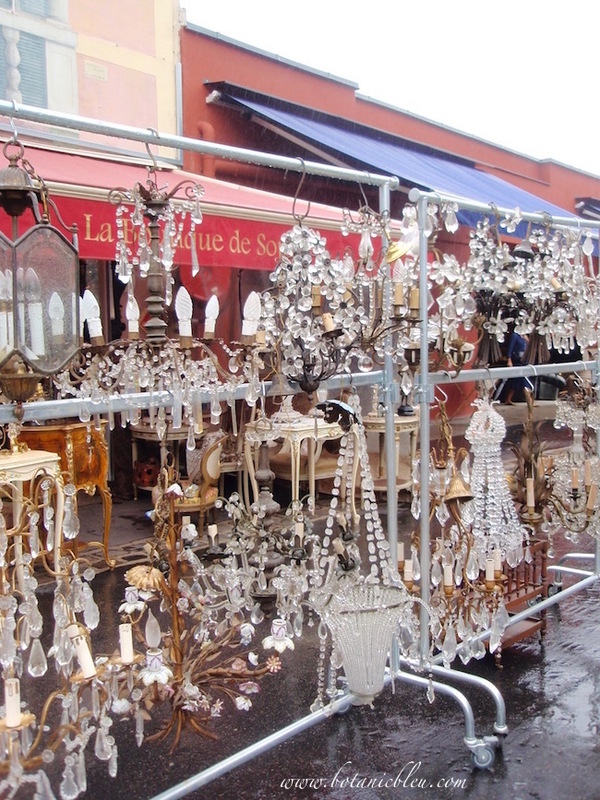 Les Puces de Saint-Ouen in Paris, the largest and best known flea market in France, is open every weekend, but commands high prices for quality antiques. Across town, the weekly flea market at Port de Vanves is much smaller than the one at Saint-Ouen, but the prices are much lower than at Saint-Ouen. Set up on tables along the streets, the open air market has the charm of an old-fashioned style flea market where locals shop. 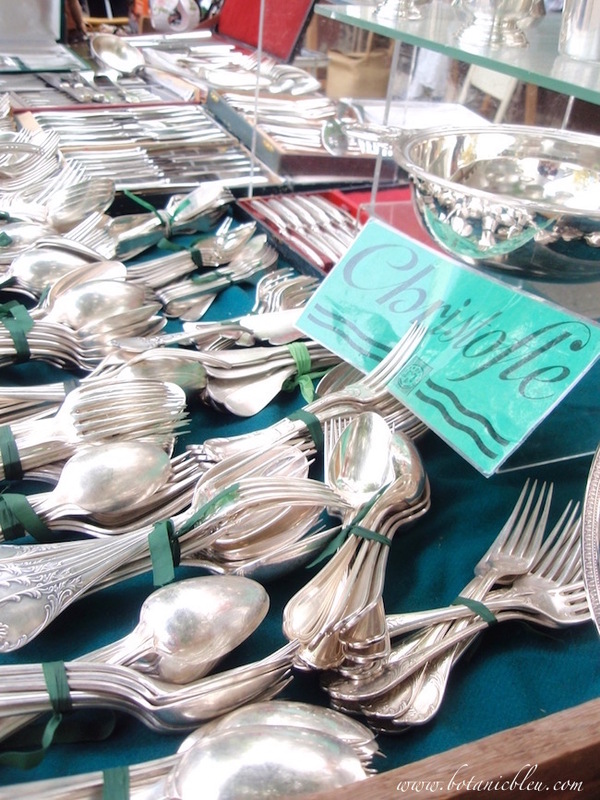 Vintage silver appears routinely at Paris flea markets, and Christofle is THE name for quality French silverware. 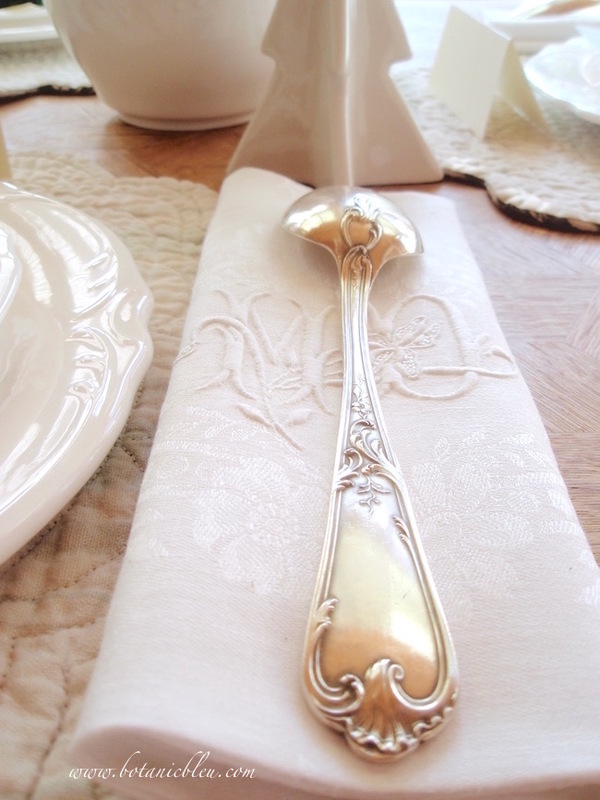 Be sure to look at the beautiful design on the BACK, not just the front, of French silverware. 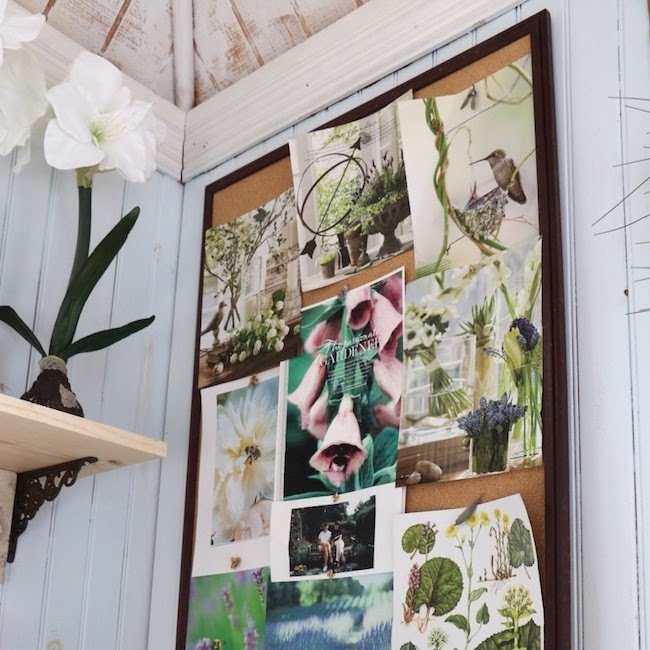 Weekly flea markets in Paris are the tip of the iceberg in finding vintage French design. 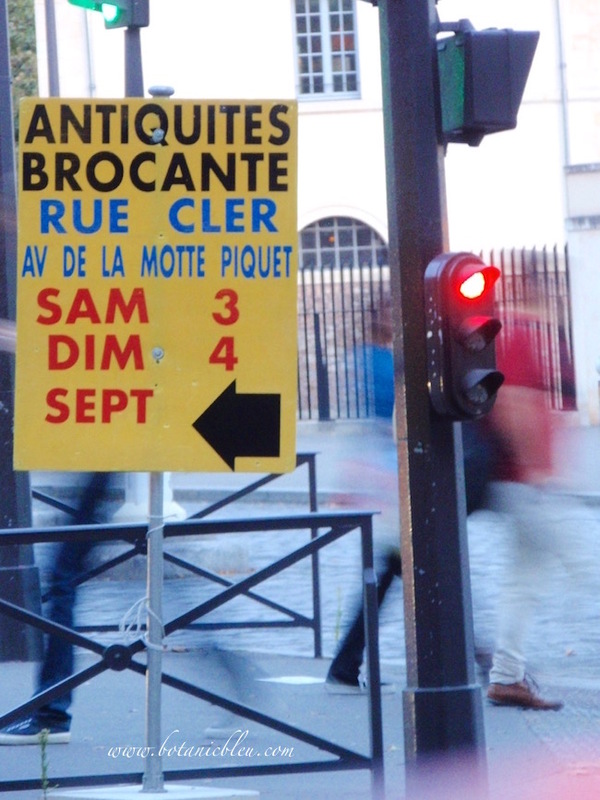 Watch for street signs that advertise pop-up brocante sales. 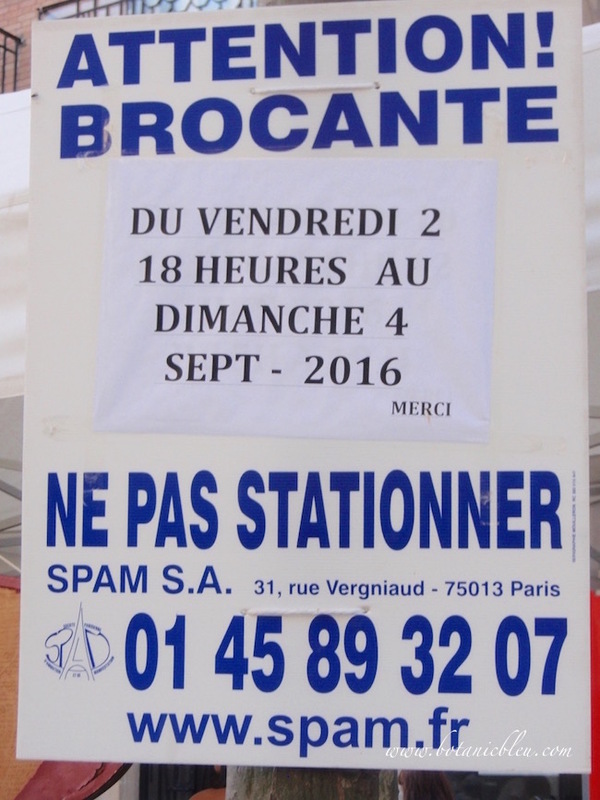 This sign alerts Paris drivers "not to park" because of a brocante. In Paris, September is a good month for finding large brocante sales. 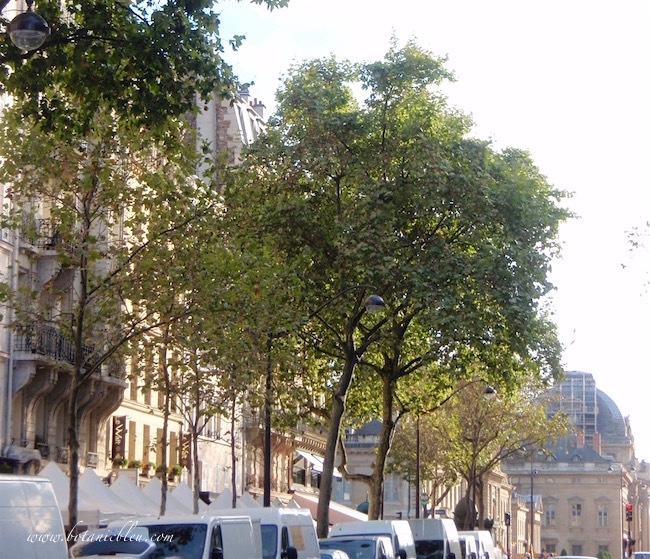 Rue Cler is a favorite Paris market street for tourists and locals all during the year. 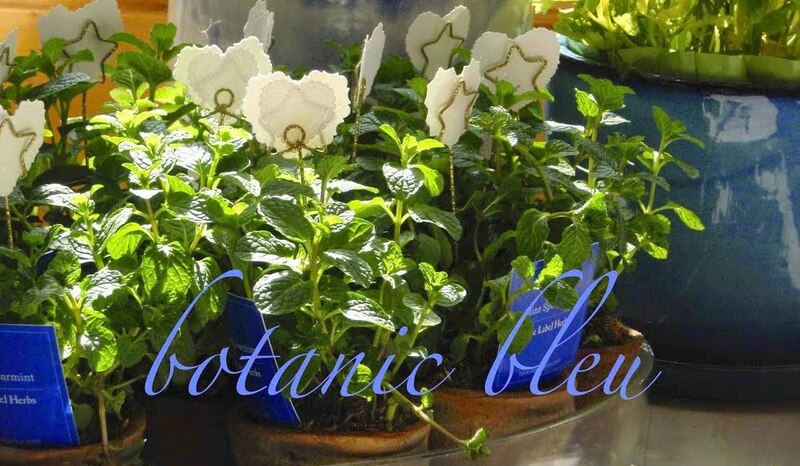 In September, a large antiquities brocante offers another reason to visit Rue Cler. 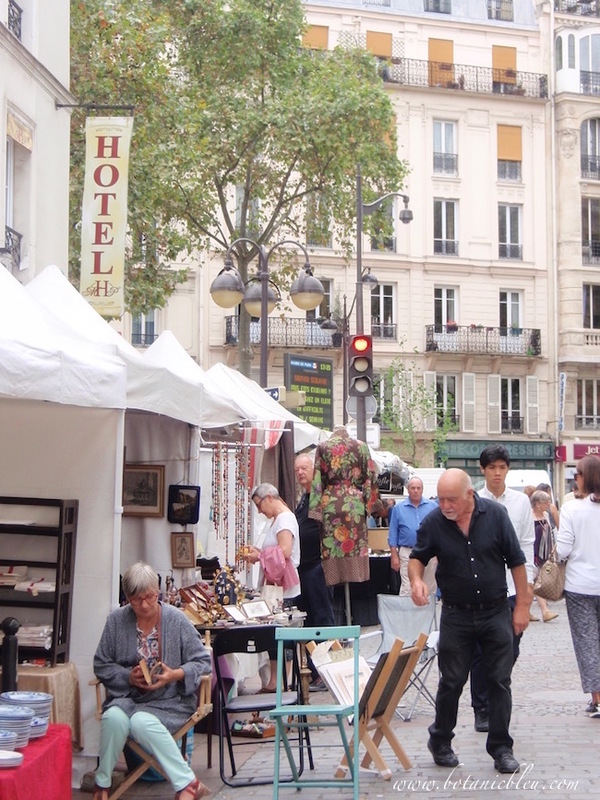 Just steps away from Paris monuments, vendors driving small white vans deliver vintage French design to white tent stalls along Rue Cler and surrounding streets. 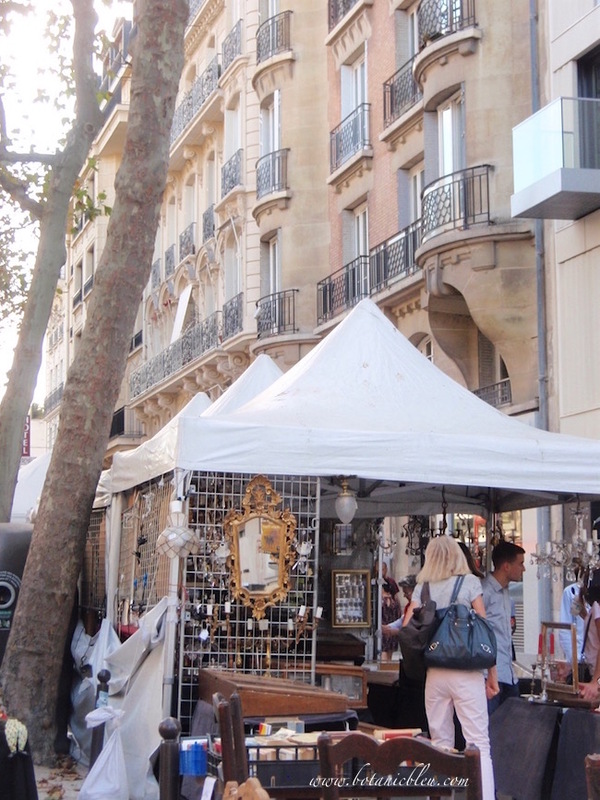 Just like the weekly Port de Vanves flea market, locals shop the Paris pop-up brocantes. Remember to greet the vendor... "Bonjour madame/monsieur," and engage in friendly discussions about their wares before beginning to negotiate. 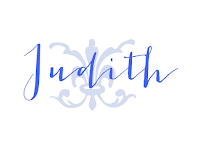 Almost all of the vendors will negotiate prices... especially if the buyer follows the French customs of greeting the vendor and talking to the vendor about items. 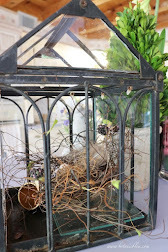 What vintage French design items did I find at Paris flea markets and brocantes? 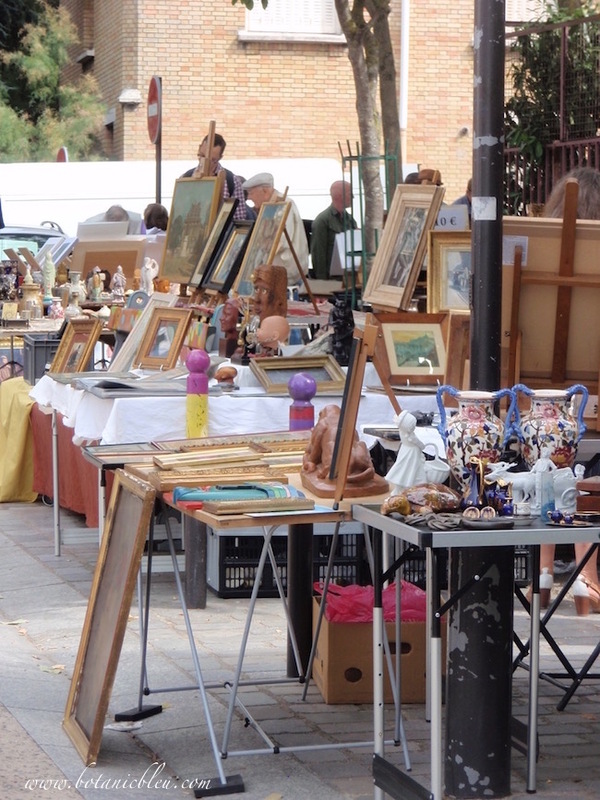 You may enjoy reading these posts about French flea markets. You have the prettiest photos of your French adventures. What a treat to visit the flea markets! 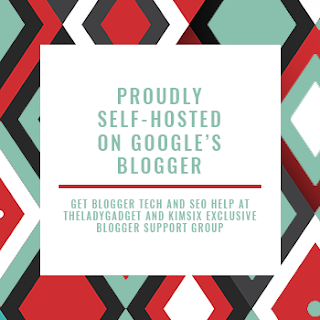 Thank you for sharing your adventure! I was so excited when we came across a similar market outside our hotel in Italy last summer. I had to control myself because I was limited to filling our suitcases. 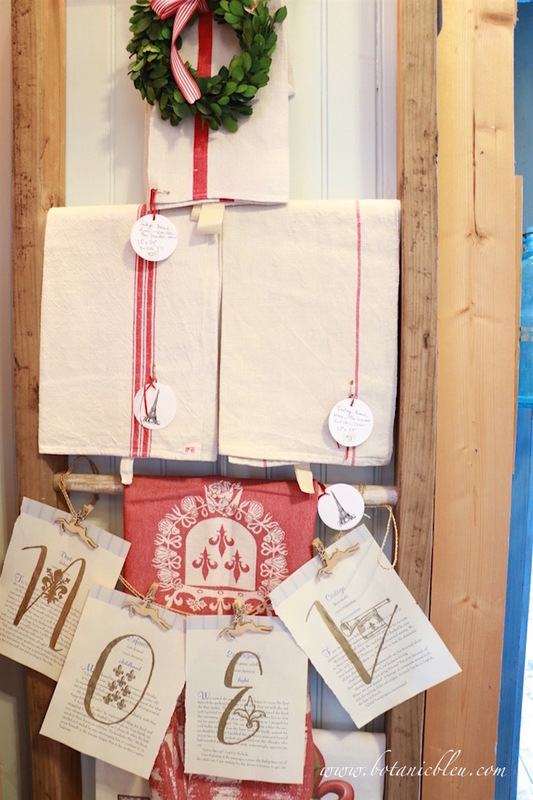 I think if I had been tempted by French goodies I would have ended up leaving my clothes and taking home the shopping! Thanks! When I visit Paris, I always spend some time at the puces of t Ouen, but I sure want to try some of your other tips next time! I never tire of reading about French fleas, brocantes and vide greniers! Your choice in silverware is gorgeous! Happy Saturday. 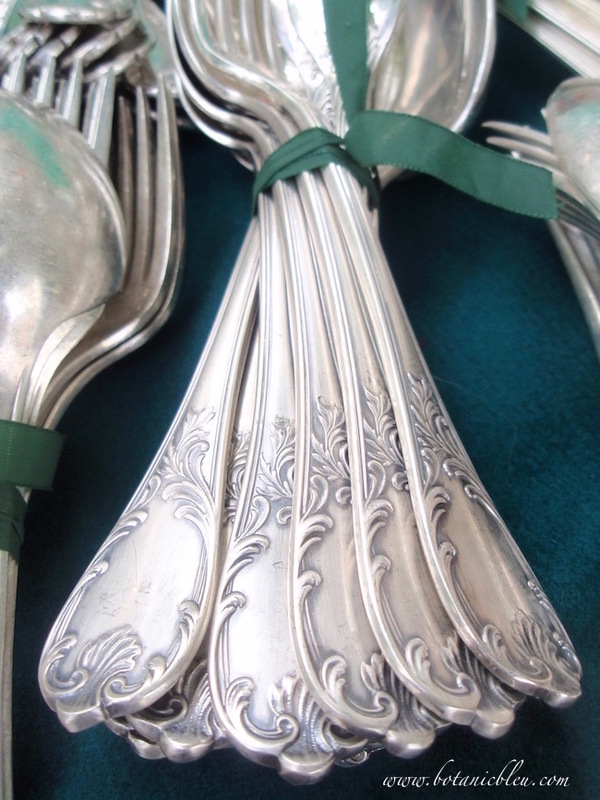 Love, LOVE that gorgeous silverware! 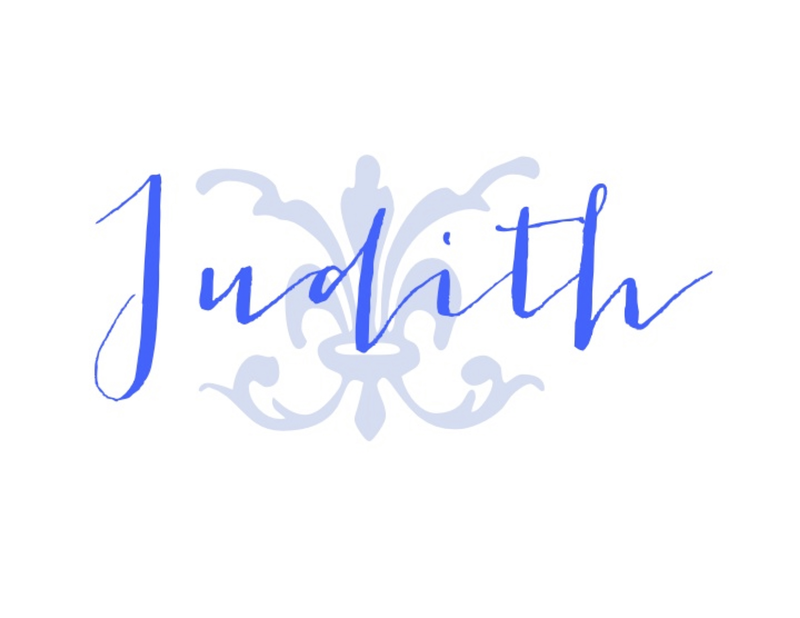 Such great photos, Judith. Thanks!